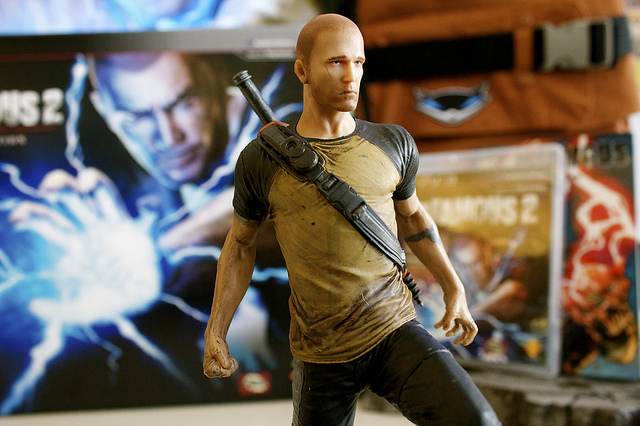 The electrifying Cole MacGrath﻿ saga continues with inFAMOUS 2, the sequel to 2009's blockbuster PS3-exclusive open world adventure developed by Sucker Punch. To supercharge the experience, Future Shop is giving away an exclusive Downloadable Content bonus for those who pre-order ﻿the game in-store. The bonus DLC unlocks Cole's Light Grenade attack which can be used throughout the gameplay experience. While the inFAMOUS 2 story opens in the familiar Empire City, Cole's new adventure soon takes him to the city of New Marais as our hero searches for a scientist who is believed to hold the secrets to his mysterious electric powers. Time is working against our fateful protagonist as a dark entity know as "The Beast" decimates Empire City and is heading down the coast annihilating all civilization in its path. Whereas the original inFAMOUS was, appropriately enough, an origin comic book-inspired story, the sequel is what you would expect -- a coming to terms story where Cole learns to harness his powers in new and unique ways. 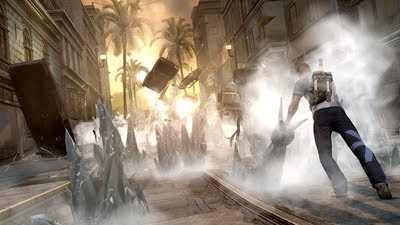 There is no "tragic accident" that resets his powers to zero, which tends to happen a lot in video games (God of War being the worst culprit), and all of the abilities Cole mastered in the first game are immediately available from the onset of the game. On top of the regular edition, inFAMOUS 2 has a collectible "Hero's Edition" featuring a 8.5” Cole MacGrath statue, a wearable full-size replica Cole sling pack, InFAMOUS first edition mini comic from DC Comics, official inFAMOUS 2 soundtrack, a ‘super voucher’ for a collection of bonus game content, and access to the Uncharted 3 Multiplayer Beta. 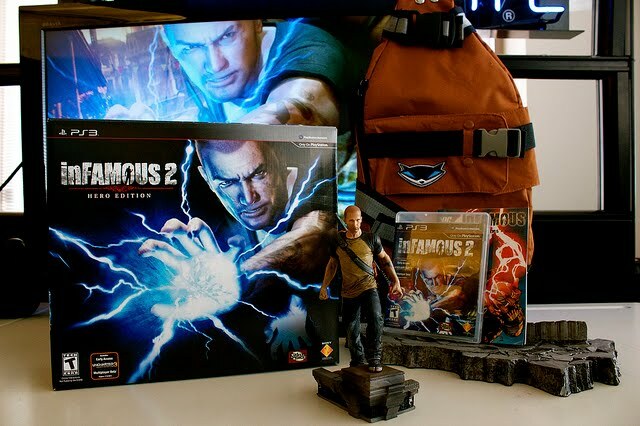 On top of the special skins, new powers, and Amp variants, the voucher also gives you access to download the special inFAMOUS 2 Red soundtrack featuring special tracks not available anywhere else. The regular edition is retailing at $59.99 and can be found here on Futureshop.ca. The Hero's Edition is selling for $99.99 and more information on Futureshop.ca is located here. Remember though, the pre-order bonus is only available in-store at Future Shop, so head on over to your local store soon. 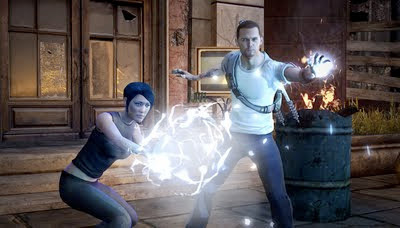 inFAMOUS 2 launches June 7 exclusively for the PlayStation 3.